Tensions between India and Pakistan are flaring once again over Kashmir, raising global anxiety about the risk of conflict between the two nuclear-armed rivals. The Himalayan region has been the focus of a bitter dispute dating back decades. In responding to the current crisis, the United States must balance its competing interests in the region. 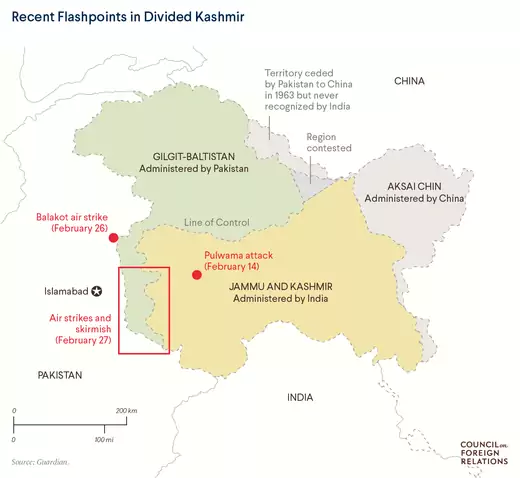 The details of what occurred are still cloudy, but this latest flare-up started with a suicide bombing by the Pakistan-based Jaish-e-Muhammad (JeM), a UN- and U.S.-designated terrorist group. At least forty Indian paramilitary forces in India-controlled Kashmir were killed in the attack. 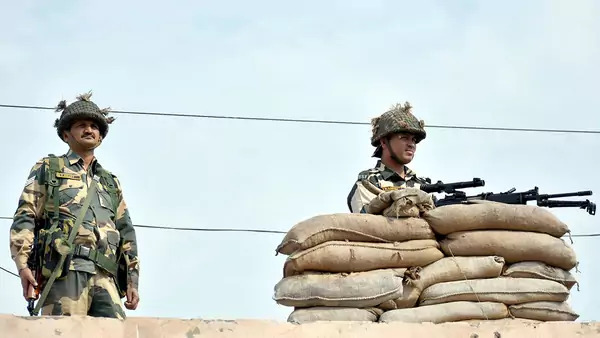 India responded with air strikes targeting one of JeM’s camps just outside the Kashmir region, in Pakistan’s Khyber Pakhtunkhwa Province. Islamabad then launched retaliatory strikes on targets inside India’s Kashmir, though it said it avoided targeting personnel. In the course of this assault, Pakistan shot down at least one Indian jet over its territory and captured the pilot. In what Prime Minister Imran Khan called a “peace gesture,” Pakistan later released the pilot. Why do India and Pakistan fight over Kashmir? India and Pakistan have been bitter rivals since they emerged from British colonial rule in 1947. Pakistan views Kashmir, which like it has a Muslim majority, as a natural part of its state. For secular but Hindu-majority India, Kashmir is vital to its identity as a multiethnic state. Over the last seven decades, their competing claims for the mountainous territory have helped fuel three wars and periodic bouts of violence. The last major conflict came in 1999, triggered by Pakistani militants taking up fortified positions in India’s section of Kashmir. The ensuing skirmish, known as the Kargil War, lasted two months and claimed more than a thousand casualties on each side. The episode was particularly worrisome around the world because both countries had tested nuclear weapons the previous year. The United States eventually leaned hard on Pakistan and compelled Islamabad to withdraw its troops and de-escalate the crisis. The struggle for Kashmir continues to simmer. JeM has been linked to several attacks in recent years, including a January 2016 attack on India’s Pathankot air base. Last year was the deadliest in the region in a decade, with more than 360 people killed, according to India [PDF]. A human rights group put the death toll higher, at 586 people. How does the United States view Kashmir? The United States’ position has been that “the pace, scope, and character” of discussions about Kashmir should be determined by India and Pakistan. At the same time, Washington must maintain a delicate balance of interests and relationships in the region. On one hand, Pakistan is a longstanding U.S. ally, although ties have been rocky at the best of times. The United States needs to work with Pakistan as the U.S. military withdraws from Afghanistan. It also wants Islamabad to step up its counterterrorism efforts. Across administrations, the United States has repeatedly criticized Pakistan for not doing enough to stop terrorist groups such as JeM from operating within its borders, and it suspended security assistance to the country last year. On the other hand, the United States continues to strengthen ties with India, a rising power and one that largely shares Washington’s emphasis on a rules-based international order. India and the United States both seek a balance of power in Asia, not a region dominated by China. Since 2016, India has been a major defense partner of the United States, and a strategic partnership between the two countries established in 2005 includes joint military exercises, significant bilateral trade, and extensive people-to-people ties. President Donald J. Trump and members of his administration have indicated they might stray from their typically hands-off approach to Kashmir. This week, Trump said he was “trying to help them both out and see if we can get some organization and some peace,” and he suggested de-escalation was possible. Additionally, U.S. Secretary of State Mike Pompeo spoke with both countries’ leaders and said the United States was “working hard” to help ease tensions.